"Link (character)" redirects here. For other uses, see Link#Arts and entertainment. Link[a] is the main protagonist of Nintendo's video game series The Legend of Zelda. He appears in several incarnations over the course of the games, and also features in other Nintendo media, including merchandising comic books, and animated series. He is one of Nintendo's main icons and one of the most well-known and popular characters in video game history. Through The Legend of Zelda series, Link is depicted as a child, teenager, or young adult of the Hylian race, originating from the fictional land of Hyrule. Link often travels through Hyrule, defeating creatures, evil forces, and the series' primary antagonist, Ganon, while attempting to save Princess Zelda and Hyrule. To defeat Ganon, Link usually requires the mystic Master Sword and Light Arrows, or a similar legendary weapon, obtained after many trials and battles. In the course of his journey, he will typically acquire various other magical objects or items, including musical instruments and weaponry. Link has also made several cameo appearances in a few Mario games. He is a playable character via DLC in the newest installment to the Mario Kart series of games, Mario Kart 8. (He is available without a download in Mario Kart 8 Deluxe.) He is also a playable character in the Super Smash Bros. series, being one of 12 original starting characters. Link has almost no spoken dialogue in the game series, except for his grunts, gasps, and shouts (not including the CD-i games). The prominent facial expression has only been visible since the series appeared on the Nintendo 64. Link's creator, Shigeru Miyamoto has said in interviews that his conceptualization of The Legend of Zelda, and of Link, was based on his childhood memories of books, movies, stories, and personal experiences. He tried to make people identify with Link and have the opportunity to be heroes like the character. Although at the end of some games, Link becomes vastly talented in physical and magical arts, he usually starts off the game as a regular boy. On the origin of the name "Link", Miyamoto had this to say: "Link's name comes from the fact that originally, the fragments of the Triforce were supposed to be electronic chips. The game was to be set in both the past and the future and as the main character would travel between both and be the link between them, they called him Link." Link is left-handed with the exceptions of the incarnations of Link that appear in Skyward Sword and Breath of the Wild. The Wii port of Twilight Princess is mirrored from the Gamecube version due to the ease of right-handed people using the game's motion controls. There have been several iterations of Link in the history of Hyrule. The existence of multiple Links is made obvious on many occasions in the games; for example, the introduction sequence of The Legend of Zelda: The Wind Waker refers to an ancient, legendary champion identical in appearance to Link, and directly mentions the "Hero of Time" (a title given to Link in Ocarina of Time) as a historical entity. Miyamoto has stated, "For every Zelda game we tell a new story, but we actually have an enormous document that explains how the game relates to the others, and bind them together. But to be honest, they are not that important to us. We care more about developing the game system ... give the player new challenges for every chapter that is born." However, the exact chronology of the Zelda series and the lineage of the various Links, though written down by Miyamoto and his team, has long been kept secret. Nintendo released an anthology titled Hyrule Historia in celebration of Zelda's 25th anniversary. Released in Japan in December 2011 and in North America in early 2013, the anthology details the long-sought-after official Zelda timeline. Link's teenage appearance in The Legend of Zelda: Ocarina of Time was designed with the aim of making him more handsome and cooler than all previous forms of the hero. On the cartoon design of Link in The Wind Waker, Miyamoto explained, "Link was a young boy and trying to create a very active and very energetic young boy and trying to choose the right style for portraying the young boy in a game like that we tried many different experiments. The ultimate decision we came to was that the cel-shading in The Wind Waker was the best option for expressing that." However, with the decision to make Link a teenager again in The Legend of Zelda: Twilight Princess, Miyamoto explained, "Ultimately we decided that in showing a teenage Link really the best style of expressing him would be something that's closer to our graphical style in Ocarina of Time." In the 3D games, beginning with Ocarina of Time, Link was voiced by seven actors: Nobuyuki Hiyama as adult Link; Fujiko Takimoto as young Link (Takimoto would reprise the role in Majora's Mask); Sachi Matsumoto as Link in The Wind Waker; Akira Sasanuma in Twilight Princess; Yūki Kodaira in Spirit Tracks; Takashi Ōhara in Skyward Sword; and Kengo Takanashi in Breath of the Wild. As no canonical Legend of Zelda game to date has contained substantial spoken dialogue for the player character, the part consists only of short phrases, grunts, battle cries, and other sounds. In The Wind Waker, however, Link has been heard saying the phrase, "Come on!" Voice acting in the series has been deliberately limited, so as not to contradict players' individual interpretations of the character. In Breath of the Wild, if the player reads Zelda's diary, it states the canonical reason for his silence. According to Zelda, Link does not talk because with so much at stake, and so many eyes on him, he feels it necessary to stay strong and silently bear any burden. It's also implied in the various games that Link does talk, such as in a scene in Twilight Princess, where his mouth is seen moving while walking with his childhood friend Ilia but is not heard by the player. Humble but brave, these attributes are consistent with Link's role as the rightful bearer of the Triforce of Courage. He is known as the "Hero of the Skies" from Skyward Sword; "Hero of the Minish" from Minish Cap; The Four Who are One from "Four Swords"; "Hero of Time" from Ocarina of Time and Majora's Mask; "Hero Chosen by the Gods" from Twilight Princess (also called the "Hero of Twilight" in fandom); "Hero of Light" from Four Swords Adventures; "Hero of Legend" from Link's Awakening, A Link to the Past, Oracle of Ages, and Oracle of Seasons; \"Hero of Hyrule" from the original The Legend of Zelda and Zelda II: The Adventure of Link; “The Hero of The Wild” from Breath of The Wild; and "Hero of Winds" from The Wind Waker and Phantom Hourglass. Link is the chosen bearer of the Master Sword, a powerful magical sword that is the bane of all evil. As a child, he challenges Ganondorf in order to try to protect Zelda before he inadvertently helps Ganondorf find the Triforce in Ocarina of Time, forcing Link to undo the damage he had caused. Link has several family members, including an uncle in A Link to the Past; an unseen mother in Ocarina of Time, who dies fleeing a war when Link is a baby; a grandmother who raises him and a sister, Aryll, in The Wind Waker; and a grandfather in The Minish Cap. He also was mentioned to have a father in Breath of the Wild over 100 years prior to the events of the game. His mother and father appear as spirits in the official manga. He is a young Hylian boy renowned for his swordsmanship and fighting skill. Almost every iteration of Link wears a green tunic and a long green Phrygian cap (explained in Ocarina of Time as green clothes being the standard attire of the Kokiri, a race of childlike forest elves among which Link was raised, with The Wind Waker establishing that the clothes are passed down to his descendants when they come of age, in honor of the Hero of Time). He has long, pointed ears, a distinctive trait of the Hylian race. In the Zelda trading cards released by Nintendo early in the series, it is stated that pointed ears are a sign of the Hylian royal family. In episode 4 of the Adult Saga in the official Ocarina of Time manga series, "Link Vs. Link", Impa gives Link earrings, describing it as a "rite of passage for young Sheikah men"; these later became default aspects of Link's design, starting with Twilight Princess and Skyward Sword. He has a Triforce mark on his left hand (with the exceptions of Skyward Sword and the Wii version of Twilight Princess), marking him as the one who will find the Triforce of Courage. He uses many weapons and items, such as bombs, the hookshot, the boomerang and the bow and arrows. His transformation into a wolf while in the Twilight Realm in Twilight Princess is a reflection of the mystical aspects that prove his status as the bearer of the Triforce of Courage and his heroism. Though most titles in the series have depicted Link as left-handed, this is not a hard-set rule and is subject to change between games. The Adventure of Link's instruction booklet describes Link setting off "with a magical sword in his left hand and a magical shield in his right". In A Link to the Past, he alternates hands; although this is due to sprite mirroring, the reason for this is explained in the official Nintendo Player's guide as a Hylian superstition that requires the shield to always face Death Mountain (located to the North) to protect oneself from the evil powers originating within the mountain. Starting with Link's Awakening, Link holds his sword in his left hand and his shield in his right, no matter what direction he is facing. In The Minish Cap, however, Link returns to alternately holding his weapon in the right or the left hand, depending on his orientation. At the beginning of the Four Swords Plus (Four Swords Adventures) manga, Link is referred to as the "left-handed hero" after defeating pirates that were raiding a Hylian town. In addition, Link's figurine description in The Wind Waker lists his "favored hand" as left. However, in the animated TV series and the Wii version of Twilight Princess, Link is right-handed, but the latter was done to better mirror the game's control scheme. In the game's official artwork he is shown holding his sword in his left hand. In the GameCube version, Link remains left-handed, as the game uses a traditional control scheme. Thus, Skyward Sword is the first game in the series to feature a definite right-handed Link, with even the concept art reflecting the fact. This was done again for Breath of the Wild, in which Link is canonically right-handed; this was done to mirror what side the buttons on the controller were used for Link's attacks. Link debuted on February 21, 1986, with the Japanese release of The Legend of Zelda. Described as a "young man" who saved Princess Zelda's elderly nursemaid Impa from Ganon's henchmen, Link assumes the role of the hero attempting to rescue Princess Zelda and the kingdom of Hyrule from the evil wizard Ganon, who has stolen the Triforce of Power. Zelda II: The Adventure of Link (1987) occurs several years after the original game. Link goes on a quest to place a crystal in each of six palaces in Hyrule, so that he can later penetrate the magically protected Great Palace, defeat Shadow Link, claim the Triforce of Courage, reunite the three pieces of the Triforce, and awaken the sleeping Zelda. The Legend of Zelda: A Link to the Past (1991) is a prequel to the original game, and is the first game set in the "Fallen Hero Timeline", an alternate timeline to the "Adult Link Timeline" and "Child Link Timeline". A new Link must intercept the wizard Agahnim before he breaks the seal on the Dark World and unleash Ganon's fury upon Hyrule. Along the way, Link must collect three magical Pendants of Virtue and claim the legendary Master Sword before facing Agahnim. Then, he must venture into the Dark World to rescue the Seven Sages and defeat Agahnim and Ganon. The Legend of Zelda: Link's Awakening (1993) occurs some time after A Link to the Past, and features Link traveling the world in order to be prepared if Ganon ever comes to Hyrule again. While returning to Hyrule, Link's ship is caught in a storm and wrecked. He washes up on the shore of a mysterious island called Koholint. Link is taken to the house of a kind man named Tarin and his daughter Marin. A talking owl tells him that the only way he can escape Koholint Island is by awakening the "Wind Fish", a giant creature slumbering in a colossal egg in the center of the island. When the game finishes, Link awakens in the middle of the ocean, along with the dreamer. The Legend of Zelda: Ocarina of Time (1998) is the first 3D game in the Zelda series, and is the final game that occurs within the "Singular Timeline". Link must constantly travel between the present and the future by using the titular Ocarina of Time in order to stop Ganondorf's takeover of Hyrule. As a result, Link comes to be known as the "Hero of Time", and is successful in stopping Ganondorf both in the present (via warning Zelda about his plot) and in the future (via direct combat and subsequently sealing him in the Sacred Realm with the help of the six sages and the Master Sword). Link is also accompanied by the fairy Navi, who gives him hints about enemies and/or his surroundings, which is a first in the series. 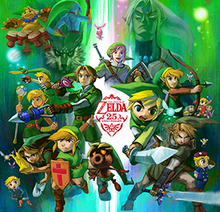 The ending of Ocarina of Time also notably marks the timeline split of the in-game universe's chronology: the "Adult Link Timeline" occurs after Link has defeated Ganondorf in the future, the "Child Link Timeline" occurs after he is transported back to the past and warns Zelda of his plot to conquer Hyrule, and the "Fallen Hero Timeline" occurs after he is defeated by Ganondorf in the future. The Legend of Zelda: Majora's Mask (2000) is a direct sequel to Ocarina of Time, and occurs several months after Link defeats Ganon and is sent back in time to his childhood. As a result, it is the first game set in the "Child Link Timeline", an alternate timeline to the "Adult Link Timeline" and the "Fallen Hero Timeline". While searching for Navi after she left him for unknown reasons at the end of Ocarina of Time, Link runs into Skull Kid, a character briefly featured in Ocarina of Time, and mysteriously ends up traveling to the land of Termina. He must save this land from the evil of Majora's Mask, which has drawn the moon into a decaying orbit, threatening to crash into Termina's primary town, Clock Town, in three days. Link uses the Ocarina of Time to play the Song of Time, which he can use to travel back in time when he plays it, to relive these three days repeatedly so he can prevent the disaster. Along the way, Link finds many magical masks of his own, some of which allow him to transform. Those masks can turn him into a Goron, Deku Scrub, Zora or the "Fierce Deity", a powerful, adult-like form. Miyamoto mentioned that "we wanted Link to get inside of a wonderland, to experience the adventures and think hard about what he should do." The Legend of Zelda: Oracle of Seasons and Legend of Zelda: Oracle of Ages (2001) occur between A Link to the Past and Link's Awakening. They feature the Triforce sending Link on a mission to the foreign lands of Holodrum and Labrynna in order to stop the disruption of the seasons by the General of Darkness, Onox, and the disruption of time by the Sorceress of Shadows, Veran. After playing both games, it is revealed that the events of both games are part of a sinister plot by Twinrova to light the Flames of Destruction (lit by the actions of Onox), Sorrow (lit by the actions of Veran), and Despair (lit when Zelda is kidnapped) as part of a ritual to resurrect Ganon. In the end, Link must save Zelda and defeat the Twinrova before Ganon is resurrected. In The Legend of Zelda: A Link to the Past & Four Swords (2002), Four Swords occurs at some point after The Minish Cap and before Ocarina of Time. Zelda goes to the Sanctuary of the Four Sword with her friend, Link, to check on the seal containing the evil Wind Mage, Vaati. The seal has weakened, however, and Vaati emerges, kidnaps Zelda, and defeats Link. Later, Link finds three fairies, who instruct him to draw the Four Sword. The magical Four Sword divides him into four identical Links. The first Link wears his traditional green outfit; the second, a red version; the third, blue; and the fourth, purple. The Links must cooperate to overcome obstacles, collect keys, and storm Vaati's Palace so they can rescue Zelda and reseal the Wind Mage. Toon Link, as depicted in The Legend of Zelda: The Wind Waker, dressed in the character's recognizable green clothes. The Legend of Zelda: The Wind Waker (2002) occurs hundreds of years after Ocarina of Time, and is the first game set in the "Adult Link Timeline", an alternate timeline to the "Child Link Timeline" and the "Fallen Hero Timeline". In it, the gods have flooded Hyrule to keep the Triforce and populace safe from Ganondorf after he broke the seal placed upon him in Ocarina of Time. All land is underwater except for the highest mountaintops of Hyrule, which resulted in the creation of the Great Sea. At the beginning of the game, Link's younger sister Aryll is captured by the Helmaroc King, a giant masked bird controlled by Ganondorf, the latter of whom is searching for Princess Zelda. Link travels the Great Sea to rescue his sister and defeat the Helmaroc King; his quest intertwining with that of The King of Red Lions, who, after many trials, entitles Link as the "Hero of Winds". Using the Wind Waker, a magical conductor's baton, he borrows the power of the gods to aid him in his quest. The wand's user interface is similar to that of the Ocarina of Time, but uses tempo and pitch to form tunes. Link must eventually reassemble the Triforce of Courage and restore the Master Sword's power to repel evil in order to fight Ganondorf. The Legend of Zelda: Four Swords Adventures (2004) is an indirect sequel to Twilight Princess, and occurs hundreds of years after that game. Zelda and the six other mystical maidens, who are worried about the seal on the Four Sword, go to check on the Sanctuary of the Four Sword, with Link accompanying them. However, a dark, shadowy copy of Link attacks them. Link is forced to draw the Four Sword to fight this Shadow Link, but when he does, he is split into copies of himself much like the Link in Four Swords. By extension, drawing the Four Sword also results in Vaati escaping from the seal placed upon him in Four Swords. The Legend of Zelda: The Minish Cap (2004) occurs between Skyward Sword and Four Swords, and features Link as a young boy living with his grandfather, the Master Smith of Hyrule. Link is a childhood friend of Princess Zelda, and on the day of Hyrule's yearly fair to celebrate the coming of the Picori, they go to join in the festivities. A mysterious stranger, Vaati, shows up and wins the sword-fighting competition; each year the victor of this tournament has the honor of touching the sacred Picori Blade. This sword was a gift to the Hylians from the tiny Picori and was used long ago by a legendary hero to defeat the forces of darkness and seal them away in the Bound Chest. Vaati destroys the blade and curses Zelda, and it is up to Link to repair the sword, defeat Vaati and save the princess. By the end of the game, Link has collected four elemental crystals and infuses them in the White Sword, an incarnation of the Picori Blade. After the infusion, the White Sword becomes the Four Sword, which Link seals Vaati in, setting the scene for the previously released Four Swords games. The Legend of Zelda: Twilight Princess (2006) occurs more than a century after the events of Ocarina of Time and Majora's Mask. In the game, Link is a teenage farm boy leading a fairly normal life in the pastoral village of Ordon until two of his friends, Colin and Ilia, are kidnapped by monsters. During his journey to rescue them, Link discovers that the entire kingdom of Hyrule has been covered by a dark twilight, in which most people are reduced to nothing more than spirits. However, Link is transformed into a wolf upon entering the twilight. While in this form, he is aided by Midna, an imp-like creature, and eventually cleanses the land from the twilight. Yet, in his attempt to save his friends, Link discovers an even greater evil only he can stop. During the game, Link travels in the normal world in his human form and when exposed to twilight, reverts to his wolf form. During his journey, he is trained in the art of swordsmanship by a spirit called the "Hero's Shade", who is revealed in the Hyrule Historia to be the Hero of Time from Ocarina of Time and Majora's Mask. Due to lamenting that he was never remembered as a hero, as well as not passing down his skills to the next generation, the Hero's Shade has been unable to pass on to the afterlife following his death. After teaching his descendant the swordsmanship skills he learned during his own life, the Hero's Shade finally eases his regrets and passes on into the afterlife while giving his descendant his blessing. Link's Crossbow Training, a spin-off of the series, also takes place within the setting of Twilight Princess. The Legend of Zelda: Phantom Hourglass (2007) is a direct sequel to The Wind Waker, and is set a few months after Link defeats Ganondorf in that game. Link embarks on a quest to reunite with Tetra after she is lost to the Ghost Ship and turned into stone by the game's main antagonist, Bellum. Phantom Hourglass revives the use of a fairy companion as in Ocarina of Time and Majora's Mask, yet also features Link teaming up with Captain Linebeck in order to travel the World of the Ocean King, a world parallel to the Great Sea. Upon finding the spirits of courage, wisdom, and power, Link is eventually lead to the Ghost Ship and rescues Tetra before confronting Bellum at the Temple of the Ocean King. The Legend of Zelda: Spirit Tracks (2009) is a sequel to Phantom Hourglass, and is set a century after that game. An unknown amount of time after Phantom Hourglass, Link, Tetra, and her pirates find new land and rechristen it New Hyrule. In this game, Link is able to travel across the main world using a train and is accompanied by the spirit of Princess Zelda, who is the descendant of Tetra. Link and Zelda have to restore the Spirit Tracks to New Hyrule and recover Princess Zelda's body from Chancellor Cole after he uses it to revive Malladus, a Demon King who once ravaged the land that would become New Hyrule. The Legend of Zelda: Skyward Sword (2011) is the first game to occur in the "Singular Timeline", which is the timeline of Zelda games prior to its split at the end of Ocarina of Time. As such, it explores the beginning of the battle between good and evil within the series, and the establishment of Hyrule and the legends of both Link and Zelda. Link is born and raised in Skyloft, a land floating above the clouds. Link is a childhood friend of Zelda, who in this game is not a princess, but rather a fellow student of his at the Knight Academy. The land beneath the clouds is known simply as the Surface, and Link is forced to go there after Zelda is kidnapped. He must travel between the two lands in this adventure. He wields a sword called the Goddess Sword, a magical sword that holds Fi— a servant to the goddess Hylia— which allows him to travel across the two worlds. During his journey, Link imbues the Goddess Sword with three sacred flames, which result in it being reforged into the Master Sword. The Legend of Zelda: A Link Between Worlds (2013) is a sequel to A Link to the Past, and occurs centuries after that game and Link's Awakening. Link is a blacksmith's apprentice who is forced to rescue the Seven Sages, descendants of the original Sages who sealed the Sacred Realm years ago, after Yuga, a sorcerer who has the ability to "merge" into walls and turn people into paintings, brings them to another world, the Kingdom of Lorule, in the form of paintings to revive Ganon. The ability to "merge" into walls is a newly added mechanic for Link. Link's appearance is very similar to that depicted in artwork from 1986's The Legend of Zelda. During the journey, Link meets Ravio, a rabbit-masked merchant whom Link agrees to stay in his house in exchange for his services. In the game's climax, Ravio is revealed to be Link's Lorule counterpart, and he went to Hyrule to recruit Link to stop Yuga and Princess Hilda from stealing Hyrule's Triforce, as he believed ruining Hyrule to revive Lorule was worse than letting his kingdom crumble. The Legend of Zelda: Tri-Force Heroes (2015) is a direct sequel to A Link Between Worlds, and is set several years after that game. Despite featuring the art style used in The Wind Waker, it nevertheless features the same Link, who answers a call for heroes from King Tuft of the fashion-focused kingdom of Hytopia. His daughter, Princess Styla, has been cursed by the witch Lady Maud to wear an ugly jumpsuit that is impossible to remove. Link allies with two other heroes who appear identical to him, albeit featuring red and blue color schemes, in order to defeat Lady Maud and lift the curse. The Legend of Zelda: Breath of the Wild (2017) is set thousands of years after Ocarina of Time, though it is not specified as to whether it occurs in the "Adult Link Timeline", "Child Link Timeline", or "Fallen Hero Timeline". Link awakens after a century in a stasis pod and comes to discover that an evil force called the Calamity Ganon has been trapped in Hyrule Castle for as long as he had been in stasis. During the last century, Hyrule has fallen into ruin in the wake of the Calamity Ganon, as it has been largely reclaimed by the wilderness. Link learns that the Calamity Ganon has slowly been gaining strength and that he must defeat it before it escapes the castle and destroys the world. During his adventure, it is revealed that Link was the Hylian Champion and Princess Zelda's appointed knight prior to his stasis. He was the chosen hero to wield the Master Sword to defeat the Calamity Ganon but is nearly killed while protecting Zelda, which prompts her to have the Sheikah tribe put him into stasis in order to heal him. It is revealed by Zelda that Link was the son of a knight in the Royal Guard, and that he rarely talks because he feels the need to bear the large burden placed on him in silence. Link appears in Link: The Faces of Evil, Zelda: The Wand of Gamelon and Zelda's Adventure, the first Zelda spin-off games ever released, although he is playable only in The Faces of Evil and relegated to a secondary role in The Wand of Gamelon and Zelda's Adventure. At the beginning of The Faces of Evil, Link and the King of Hyrule are visited by a wizard named Gwonam, who tells them that Ganon and his servants have seized the peaceful island of Koridai and captured Zelda. After being informed that only he can defeat Ganon, Link travels to Koridai to find the magical artifact known as the Book of Koridai. In the latter two games, the roles are reversed and Zelda has to rescue Link from Ganon. While the games were licensed by Nintendo to use official Zelda characters, none of them were produced or supervised by Nintendo. Aside from being critically panned, none of the CD-i Zelda games are recognized by Nintendo as part of the series' official chronology. Unlike the main games, Link actually speaks in this version and is voiced by Jeffrey Rath. His personality mirrors his animated series counterpart in which he yearns for adventure and is constantly trying to get a kiss from Zelda. Link's most notable spin-off appearances are within the Super Smash Bros. series, as he is one of only twelve characters to have appeared in every entry of the series since its debut in 1999. In the series' eponymous installment, the adult version of his Ocarina of Time incarnation is one of the eight initially playable characters. He uses some weapons featured in the Zelda series, including his signature Master Sword, Bombs, the Boomerang and the Hookshot. Link is one of the fifteen playable initially playable in Super Smash Bros. Melee, the 2001 sequel to Super Smash Bros. In Melee, he uses a bow alongside the Zelda items he used in Super Smash Bros. and is no longer the Zelda series' sole playable representative. However, Melee also marked the first time that the Super Smash Bros. series would feature two versions of Link, as "Young Link", the child version of Link in Ocarina of Time and Majora's Mask, appears as an unlockable character. In comparison to his adult version, Young Link is weaker overall, but he is faster, nimbler, can wall jump and wields the Kokiri Sword and Fire Bow instead of the Master Sword and Bow, respectively. Link was one of the first confirmed characters in Super Smash Bros. Brawl for the Wii, although his Twilight Princess incarnation appears instead of the adult version of his Ocarina of Time incarnation. His items have fittingly been redesigned or even changed outright as a result, such as having the Gale Boomerang and the Clawshot instead of the Boomerang and the Hookshot. Like other characters, Link has received a "Final Smash", an extremely powerful special attack that can be used only once. In Link's case, his Final Smash is the Triforce Slash, a rapid series of sword slashes performed on an opponent trapped in a Triforce-shaped energy field. Link's redesign also indirectly affected Young Link, as he was replaced by the unlockable character "Toon Link", a name used for the incarnation of Link from The Wind Waker that also reappeared in Phantom Hourglass. While vastly different aesthetically, Toon Link's abilities are largely similar to Young Link's, as he is a faster, nimbler yet weaker counterpart to Link, with whom he also shares the same Final Smash. Both Link and Toon Link returned in Super Smash Bros. for Nintendo 3DS and Wii U, with Toon Link now being readily available instead of having to be unlocked. Both Links retain their items from Brawl and are once again the incarnations from Twilight Princess and The Wind Waker, respectively. However, both of their designs underwent a few aesthetic tweaks, most notably having less realistic details and brighter color schemes, while they also received new alternate costumes that reference a number of Zelda games, such as Skyward Sword, Majora's Mask and A Link to the Past. Link was revealed as one of the first characters coming back to Super Smash Bros. Ultimate for the Nintendo Switch. Unlike previous versions, this one is based off his Breath of the Wild incarnation. His items are redesigned to match the game, such as the Boomerang returning to the traditional form, the Remote Bomb Rune replacing the Bomb, and the removal of his clawshot which he can finally grab opponents with his hand. His Final Smash has been changed to the Ancient Bow and Arrow, in which he fires an Ancient Arrow at his opponent. Both Toon Link and Young Link also return as playable characters. Young Link also has the Triforce Slash as his Final Smash. Aside from being referenced as an alternate costume in Super Smash Bros. for Nintendo 3DS and Wii U, the Skyward Sword incarnation of Link either directly appears in or is referenced in a few games via Zelda-themed downloadable content. He appears as a playable character in Mario Kart 8, along with the "Hyrule Circuit" race track, the "Triforce Cup" and a vehicle set consisting of the "Master Cycle", "Triforce Tires" and "Hylian Kite". In Mario Kart 8 Deluxe, the Breath of the Wild incarnation also appears, along with the Master Cycle Zero, Ancient Tires, and Paraglider from the same game. He also appears in Sonic Lost World as part of "The Legend of Zelda Zone", where he rides his signature Crimson Loftwing. He is also referenced in Monster Hunter 4, with armor resembling his tunic being forgeable and wearable by both male and female hunters. Link appears in Hyrule Warriors as a playable character. This incarnation is a Hyrulian soldier-in-training who helps leads the campaign against the forces of evil. Young Link from Ocarina of Time and Majora's Mask also appears in the game as a playable character via downloadable content, while Toon Link from The Wind Waker appears as a playable character in Hyrule Warriors Legends, the Nintendo 3DS port of Warriors. In the GameCube version of Namco's Soulcalibur II, Link is a featured character. Although he appears identical to the adult version of the Link from Ocarina of Time and Majora's Mask, this Link is an entirely separate incarnation. As such, little is known about this incarnation, but what is known is that after saving Hyrule from an evil wizard who was controlled by a fragment of Soul Edge, Link traveled to the wizard's world on a secret mission arranged by Princess Zelda to destroy Soul Edge. Miyamoto did not see a problem with Link appearing in what some had thought to be a "violent fighting game", as he had already been established as a fighter in the Super Smash Bros. series. Link is the only character in Soulcalibur II to use ranged weapons and the only guest character to have his own music theme and more than two costumes. Link was planned to appear together with Samus Aran in Marvel: Ultimate Alliance, but was later removed. Incarnations of Link from The Legend of Zelda, The Wind Waker, Twilight Princess and Tri Force Heroes also appear as "Mystery Mushroom" costumes in Super Mario Maker, which are unlocked by completing the 100 Mario Challenge or by scanning the respective Amiibo figures. Link will be a playable character in the Nintendo Switch game Cadence of Hyrule, a crossover between Crypt of the NecroDancer and The Legend of Zelda series. Among SNES games, Link, alongside Metroid series protagonist Samus Aran, makes a cameo in Super Mario RPG, where they are seen sleeping in separate beds at an inn. Another reference to Link is in the Japanese release of the NES game Final Fantasy, where a grave in Elfheim is marked "Here lies Link". It was changed to a grave for Erdrick from Dragon Warrior when translated to English, although this was reverted in the English releases of the Game Boy Advance, PlayStation, iPod touch/iPhone and PlayStation Portable versions. Link also makes cameos in Donkey Kong Country 2: Diddy's Kong Quest and Donkey Kong Country 3: Dixie Kong's Double Trouble!, with a reference to his collection of seashells from Link's Awakening also being made. Some of Link's weapons and items have appeared in several games; the Master Sword appears in Virtual Hydlide, Final Fantasy Tactics Advance, and Animal Crossing, while it appears alongside the Hylian Shield and Sacred Bow from Skyward Sword as downloadable content in Monster Hunter 4. The Master Sword and Hylian Shield appear alongside Link's Champion Tunic from Breath of the Wild as Amiibo-unlocked content in the Nintendo Switch version of The Elder Scrolls V: Skyrim. Additionally, the Master Sword can be forged and be used alongside the Hylian Shield, while the Recorder from The Legend of Zelda appears as the "Warp Whistle" in Super Mario Bros. 3, complete with the same song and warping effect. In The Legend of Zelda animated series, Link, voiced by Jonathan Potts, was featured in a set of cartoons which aired from 1989–1990 as a part of DIC's The Super Mario Bros. Super Show!. Based loosely on the first game, the cartoons presented Link as a rude, lovesick teenager. Constantly pursuing Zelda and accompanied by the fairy princess Spryte, he begged for Zelda to kiss him, and exclaimed "Well excuuuuuse me, Princess!" when tired with her attitude. Thirteen episodes were produced before the cancellation of The Super Mario Bros. Super Show. The complete series was released on October 18, 2005. A slightly altered version of this Link (and Zelda) appeared during the second season of Captain N: The Game Master. A serial comic was created for Nintendo Power magazine by the acclaimed author Shotaro Ishinomori, and later collected in graphic novel form. This told an alternate version of the events from A Link to the Past. Though Link starts out a hapless, bumbling boy, he displays great courage and proves himself a determined and competent adventurer. He has a fairy companion, Epheremelda, long before this concept was introduced to the video games. This telling portrays Link's parents as Knights of Hyrule, lost to the Dark World. It includes an original character, Roam, a descendant of the Knights of Hyrule who fought in the Imprisoning War. At the end of the story, Zelda has become Queen, and Link is head of the Royal Guard and the Knights of Hyrule. This success is bittersweet, as their duties keep them apart, even though they were once close, sharing an adventure and even coming together in dreams. There have been manga based on The Legend of Zelda, Ocarina of Time, Majora's Mask, Oracle of Ages, Oracle of Seasons, Four Swords Adventures, A Link to the Past and The Minish Cap. Link is not only brave; he is the embodiment of the virtue of courage and heroism, single-handedly embarking on epic quests, helping those in need no matter how small the task, and showing his kind-hearted soul to everyone he meets. Link does all these things and receives little more of a reward than the occasional 'thank you.' He is the truest of all video game heroes. 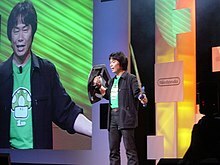 The character has been overall well received by critics, and was awarded a star on the Walk of Game in 2005 along with his creator, Shigeru Miyamoto. Including him in the section "top ten forces of good" in their 2004 list of top 50 retro game heroes, Retro Gamer noted Link being "one of the longest running gaming legends." Game Informer chose Link as the number one "Hero of 2006". CNET declared him the second top video game character of all time in 2009. In 2010, Nintendo Power chose Link as their second favorite hero, commenting that his courage always wins out over evil. In 2011, Empire ranked Link as the sixth greatest video game character, for being "one of the world's most celebrated console heroes" who "helped establish RPGs as an international gaming standard" as well as "one of gaming's most enduring heroes." That same year, UGO.com ranked him as first on the list of video game characters who need their own movies, adding: "Get Peter Jackson or Guillermo del Toro to do it, dump a ton of money into it, and we'll all die happy." The relationship between Link and Princess Zelda was also ranked as number one video game romance by James Hawkins of Joystick Division, who commented: "Never overtly called-out and not yet actualized, this tacit romance has shaped one of gaming's greatest franchises, and has embellished the epicness and added loving nature of each of Link's quests." In 2012, GamesRadar ranked this "personification of what a hero is" as the number one "most memorable, influential, and badass" protagonist in games. In 2013, Complex ranked him as the sixth "most badass" video game character of all time, as well as the fourth best video game mascot. Link proved to be a popular guest character in the other, non-Zelda series as well. In 2008, IGN ranked him as the best bonus character in the Soul Calibur series, while GameDaily ranked him first on the list of top ten Smash Bros. characters. The character has also become very popular among the video game fan community. In the 1988 and 1989 Nintendo Power Awards, readers voted him as the best character. He was voted by readers as the number one and three "Best Hero" in the 1993 and 1994 Nintendo Power Awards respectively. In one of IGN's 2007 Hero Showdowns and in Screw Attack's Death Battle, Link was voted the favorite over Cloud Strife. He won multiple GameFAQs "Character Battle" contests and is the only character to have won more than once. In the Guinness World Records Gamer's Edition from 2011, Link was voted the second best video game character of all time, behind Mario. ^ Japanese: リンク, Hepburn: Rinku? ^ "The Many Looks of Link - IGN". Uk.stars.ign.com. 2007-11-27. Archived from the original on 2012-08-21. Retrieved 2013-07-30. ^ "Wii - Official Website at Nintendo". Us.wii.com. Archived from the original on 2011-08-28. Retrieved 2012-05-25. ^ story.php?id=127146 "E3 2010 - Ten minutes with Shigeru Miyamoto | GoNintendo - What are YOU waiting for?" Check |archiveurl= value (help). GoNintendo. 2012-03-27. Archived from the original on 2010-06-18. Retrieved 2012-05-25. ^ "Miyamoto Talks About The Origin Of Link". My Nintendo News. 2012-11-04. Archived from the original on 2013-11-10. Retrieved 2013-07-30. ^ Chris Zimmerman (2006-06-19). "Gaming Legend Shigeru Miyamoto Speaks". Digital Trends. Archived from the original on 2008-06-29. Retrieved 2006-09-20. ^ "The Zelda timeline". Den of Geek. 2011-11-29. Archived from the original on 2013-07-19. Retrieved 2013-07-30. ^ a b Leyton, Chris (2003-02-26). "The Miyamoto Interview". Total Video Games.com. Archived from the original on 2008-12-06. Retrieved 2006-09-23. ^ "The Legend of Zelda: Ocarina of Time 3D Original Development Staff - Part 1". Nintendo. Archived from the original on 25 July 2015. Retrieved 1 January 2014. ^ IGN Staff (2004-05-12). "E3 2004: Miyamoto and Aonuma on Zelda". IGN. Archived from the original on 2008-12-06. Retrieved 2006-09-23. ^ "Miyamoto and Aonuma on Zelda". IGN. 2002-12-04. Archived from the original on 2009-01-06. Retrieved 2009-08-20. ^ a b Nintendo (2006-01-01). "The Great Hyrule Encyclopedia - Link". Zelda Universe. Archived from the original on 2005-08-30. Retrieved 2005-09-20. ^ a b Berghammer, Billy (2005-05-25). "Zelda's Twilight Prince: The Eiji Aonuma Interview". Game Informer. Retrieved 2014-02-01. ^ a b "Zelda a Link to the Past - Manga / Comics". Zelda Shrine. 2006-01-01. Retrieved 2006-09-29. ^ Nintendo (2006-01-01). "The Great Hyrule Encyclopedia - Boomerang". Zelda Universe. Archived from the original on 2005-08-31. Retrieved 2005-09-11. ^ Shigeru, Miyamoto. The Legend of Zelda: Hyrule Historia. Diamond Comic Distributors, 2013. Print. ^ "Link (The Legend of Zelda)". Comiccon Costumes. 2015-07-27. Archived from the original on 2015-07-29. ^ a b Nintendo, ed. (1997). Zelda II: The Adventure of Link instruction manual. Nintendo. ^ Nintendo, ed. (1992). The Legend of Zelda: A Link To The Past Nintendo Player's Guide. Nintendo. p. 143. ^ Casamassina, Matt (2006-09-20). "Miyamoto Talks Righty Link". IGN. Archived from the original on 2006-10-18. Retrieved 2006-09-20. ^ "Nintendo (1997). ''The Legend of Zelda'' instruction manual". Archived from the original on 2013-10-29. Retrieved 2013-07-30. ^ Nintendo, ed. (1989). The Legend of Zelda: The Adventure of Link. Nintendo. pp. 3–12. ^ Nintendo, ed. (1993). The Legend of Zelda: Link's Awakening instruction manual. Nintendo. ^ Nintendo, ed. (1993). The Legend of Zelda: Link's Awakening instruction manual. Nintendo. pp. 41–42. ^ "The Legend". Zelda.com. 2002-01-01. Archived from the original on 2002-12-14. Retrieved 2006-09-29. ^ Nintendo Power (2004-06-07). "The Legend of Zelda: Four Swords Adventure". Nintendo.com. Archived from the original on 2007-10-12. Retrieved 2006-09-29. ^ Nintendo, ed. (2004). The Legend of Zelda: The Minish Cap. Nintendo. pp. 3–4. ^ "Interview with Eiji Aonuma" (in Japanese). Archived from the original on 2007-02-02. ND – About when is the Twilight Princess timeline set? Aonuma – In a world some hundred years after 'Ocarina of Time.' ND – And 'Wind Waker'? Aonuma – 'Wind Waker' is parallel. In 'Ocarina of Time,' Link jumps to a world seven years ahead, defeats Ganon, and returns to the time of his childhood, right? 'Twilight Princess' is a world some hundred years after that pacified childhood time. ^ a b GameTrailers Staff (2006-10-22). "The Legend of Zelda Retrospective Zelda Retrospective Part 3". GameTrailers. Archived from the original on 2008-03-19. Retrieved 2008-04-07. ^ Wilson, Mark (2007-06-05). "This Day in Gaming, June 5th". Kotaku. Archived from the original on 2008-06-08. Retrieved 2008-04-07. ^ Carter, Chris (30 January 2013). "Review: The Legend of Zelda: Hyrule Historia". Destructoid. Archived from the original on 7 July 2013. Retrieved 3 July 2013. ^ a b c "Link in Super Smash Bros. Brawl". Smash Bros. DOJO!!. Smashbros.com. 2007-11-29. Archived from the original on 2013-07-05. Retrieved 2009-06-03. The design of this particular Link comes from The Legend of Zelda: Twilight Princess. ^ "What is a Final Smash?". Archived from the original on 2013-07-03. ^ Orland, Kyle (2008-01-29). "Super Spoiler Bros. Brawl: Major leaked roster update, videos & more". Joystiq. Archived from the original on 2011-06-04. Retrieved 2008-01-29. ^ "Toon Link in Super Smash Bros. Brawl". Archived from the original on 2013-08-05. ^ "Link in Super Smash Bros. for Nintendo 3DS and Wii U". Archived from the original on 2016-06-09. ^ "Toon Link in Super Smash Bros. for Nintendo 3DS and Wii U". Archived from the original on 2013-09-28. ^ Masahiro Sakurai (2014-06-24). "June 24, 2014 Pic of the Day". Miiverse. Archived from the original on February 13, 2017. Retrieved 2016-02-05. Pic of the day. Here's Link in an outfit based on his ordinary clothes in Skyward Sword! The art style looks a little different, but the actual clothing model is still his usual tunic. ^ McWhertor, Michael. "Super Smash Bros. is coming to Nintendo Switch". Polygon.com. Retrieved 9 March 2018. ^ Plunkett, Luke (August 26, 2014). "Zelda, Animal Crossing Coming to Mario Kart 8". Kotaku. Archived from the original on August 27, 2014. Retrieved 2014-08-26. ^ "Sonic Lost World's Zelda Crossover". Archived from the original on 2014-03-26. ^ a b "Monster Hunter 4 Ultimate Free DLC line-up for March". Archived from the original on 2016-08-11. ^ "Official Site - Hyrule Warriors for Wii U". Archived from the original on 2016-06-04. ^ "Lost cameo, Meet Ultimate Alliance Link". Siliconera. 2008-02-06. Archived from the original on 2009-08-01. Retrieved 2009-08-10. ^ "Super Mario Maker can also be Super Kirby, Zelda, Donkey Kong, etc. Maker". Archived from the original on 2016-06-17. ^ "Wolf Link Costume Coming To Super Mario Maker". Archived from the original on 2016-05-28. ^ "A Little Bit of The Legend of Zelda: Tri Force Heroes is Coming to Super Mario Maker". Archived from the original on 2016-06-11. ^ "Moments: Samus Aran And Link Appearing In Super Mario RPG". Archived from the original on 2016-08-03. ^ "Final Fantasy I & II Easter Egg - Here lies Link". Archived from the original on 2017-07-07. ^ "The Legend of Zelda Series". Nindb.net. 2001-06-28. Archived from the original on 2010-06-19. Retrieved 2007-02-24. ^ Paden Brown (2006-01-01). "Hint: Legend Of Zelda reference:". gamewinners.com. Archived from the original on 2006-10-19. Retrieved 2006-09-29. ^ Michael McWhertor (2017-06-12). "Skyrim for Nintendo Switch has a little Legend of Zelda in it". Polygon. Archived from the original on 2017-06-14. Retrieved 2017-06-14. ^ "Legend of Zelda Cartoon Series & Downloads". zeldalegacy.net. 2006-01-01. Archived from the original on 2007-10-16. Retrieved 2006-09-29. ^ Matt (2001-05-26). "Captain N, The Game Master: Joins Link & Zelda For A Little Moblin Action in Hyrule!". X-Entertainment. Archived from the original on 2009-07-10. Retrieved 2006-09-29. ^ Michael S. Drucker (2005-09-30). "The Legend of Zelda: The Complete Animated Series". IGN. Archived from the original on 2006-10-06. Retrieved 2006-09-29. ^ "Zelda Comics and Manga". ZeldaShrine. 2006-01-01. Archived from the original on 2007-10-13. Retrieved 2006-09-29. ^ a b 100 best heroes in video games Archived 2012-12-07 at WebCite, GamesRadar, October 19, 2012. ^ "Past Inductees". WalkOfGame.com. Metreon. Archived from the original on 2008-01-21. Retrieved 2007-12-20. ^ "Top 10 Heroes of 2006". Game Informer (165). Cathy Preston. January 2007. p. 54. ^ Tom Merritt (December 7, 2009). "Top 5 video game characters". CNET. Archived from the original on April 19, 2010. Retrieved 2010-04-25. ^ "The 50 Greatest Video Game Characters | 6. Link | Empire". www.empireonline.com. Archived from the original on 2013-09-26. Retrieved 2013-07-30. ^ Meli, Marissa (2011-07-19). "Video Game Characters - Video Game Movies". UGO.com. Archived from the original on 2011-08-29. Retrieved 2013-07-30. ^ James Hawkins, The Top Ten Romances In Video Game History Archived 2011-12-28 at the Wayback Machine, Joystick Division, February 17, 2011. ^ Drea Avellan, The 50 Most Badass Video Game Characters Of All Time Archived 2015-03-17 at WebCite, Complex.com, February 1, 2013. ^ "Best Video Game Mascots". Complex. 2013-08-23. Archived from the original on 2014-03-11. Retrieved 2014-01-14. ^ "Soulcalibur: Top Bonus Characters - Stars Feature at IGN". Uk.stars.ign.com. 2008-07-31. Retrieved 2013-07-30. ^ "Top 10 Smash Bros. Characters - Page 10". GameDaily. Archived from the original on 2008-07-01. Retrieved 2009-08-07. ^ "Nester Awards". Nintendo Power (6). Nintendo. May–June 1989. pp. 18–21. ^ "Nester Awards". Nintendo Power (12). Nintendo. May–June 1990. pp. 26–29. ^ "1992 Nester Awards Results". Nintendo Power (48). Nintendo. May 1993. pp. 36–39. ^ "Nester Awards Results". Nintendo Power (60). Nintendo. May 1994. pp. 54–57. ^ Pirrello, Phil (2007-10-25). "Link Triumphs in Hero Showdown". IGN. Archived from the original on 2007-11-02. Retrieved 2007-12-20. ^ "Summer 2002: "The Great GameFAQs Character Battle"". GameFAQs. Archived from the original on 2007-09-29. Retrieved 2007-12-20. ^ "Summer 2004: The Great GameFAQs Character Battle III". GameFAQs. Archived from the original on 2007-09-29. Retrieved 2007-12-20. ^ "Summer 2005: The Great GameFAQs Character Battle IV". GameFAQs. Archived from the original on 2007-09-26. Retrieved 2007-12-20. ^ "Poll of the Day #2566". GameFAQs. Archived from the original on 2006-11-26. Retrieved 2007-12-20. ^ "Fall 2007: The Great GameFAQs Character Battle VI". GameFAQs. Archived from the original on 2007-10-29. Retrieved 2007-12-20. ^ "Top 50 video game charaters of all time announced in Guinness World Records 2011 Gamer's Edition". Gamasutra. February 16, 2011. Archived from the original on March 3, 2016. Retrieved July 9, 2011. Wikimedia Commons has media related to Link.